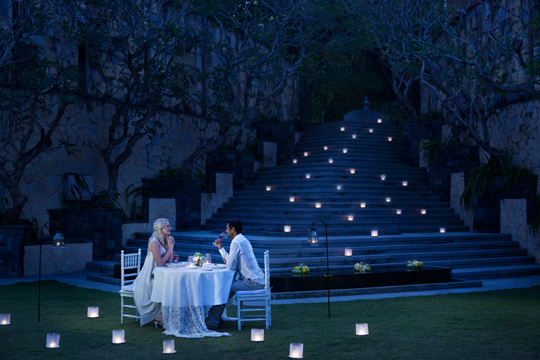 For the most romantic moment, Kamandalu Ubud is the perfect choice to embark on a new beginning. Alun-Alun and Rumah Yoga are Kamandalu’s venues that feature dramatic views across the tropical valley. Surrounded by tranquil terraced rice paddies overlooking a tropical valley in the hills of Ubud, the intimate surroundings and warm hospitality have earned Kamandalu Ubud its remarkable reputation. 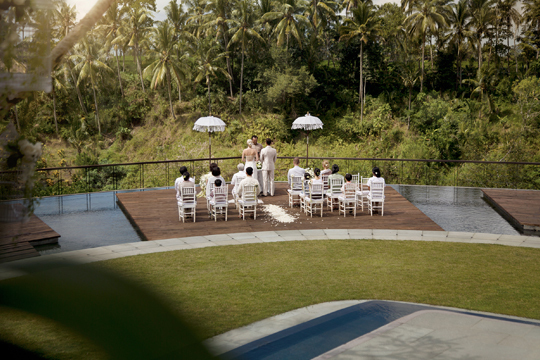 Allow Kamandalu Ubud’s expert wedding coordinators and full catering services to create a unique experience that will make your wedding planning effortless. For the ultimate dinner experience, feast upon a six-course dinner under the stars surrounded by flickering candles in the timeless ambience of Alun-alun. This intimate dining experience of culinary precision promises an evening of pure perfection to remember. 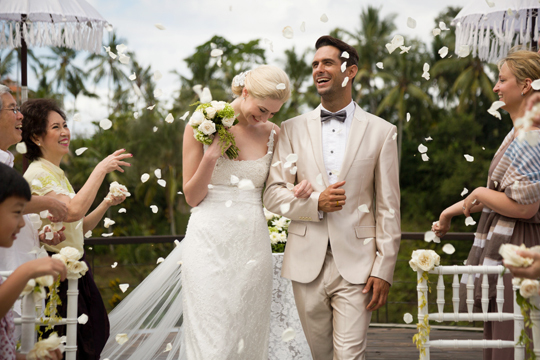 Choose from Kamandalu’s Simple Elegant Wedding or Sweet Elegant Wedding Packages to ensure that your dream wedding is exactly how you envisioned it.